Over the past 20 years, the Internet has significantly changed how business is done throughout the world. But at least one element has remained consistent through two decades — company reputations. Before the Internet, a company's reputation relied almost entirely on word-of-mouth recommendations, surveys, and consumer data. In the age of the Internet, all of that takes place online in the form of reviews. As you'll see in the infographic below, courtesy of WebpageFX, online reviews are crucial to a business's long-term wellbeing. 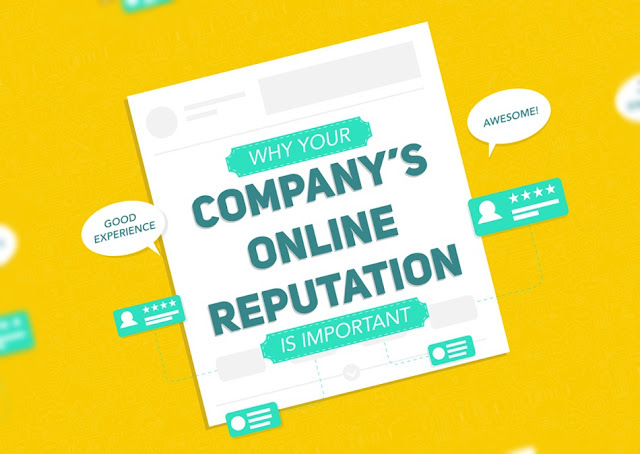 In fact, more than 90% of consumers now look at online reviews before they buy from a company. In a nutshell, you could be losing 90% of your potential customers because a few people gave you bad reviews on Google, Yelp, or Facebook. That's why you — and every other company — need reputation management. Reputation management is the process of taking your online reputation into your own hands. With it, you control how the public views your company with a series of cutting-edge strategies. That includes creating content, engaging users on social media, replying to negative reviews on external websites, and much more. Using all of those strategies gives you comprehensive control over how people view you. Even if you can't get someone to remove a negative review, you can at least show other consumers that you're an active presence online. Beyond that, you also demonstrate that you care about the feedback you receive online. That goes a long way for potential customers, especially when they see that you go out of your way to thank customers who say nice things about your business. If you're not actively maintaining your online reputation, the infographic below will give you all the reasons in the world to start. It even has some suggestions on how you can start, too.